As a software vendor, you know that offering innovative solutions with built-in intelligence is becoming a requirement in today’s application marketplace. On top of this, you need to bring your apps to market as quickly as possible while providing more value for your customers, without incurring additional development and operating costs. 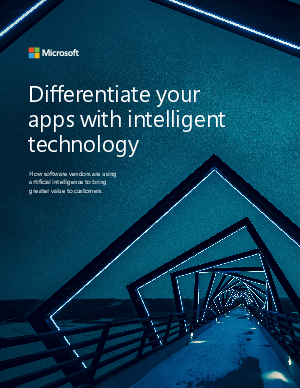 Microsoft has been investing heavily in AI, extending a breadth and depth of intelligent services ready for use in the cloud.